There seems to be a theme going on for my Tuesday posts. /sigh. 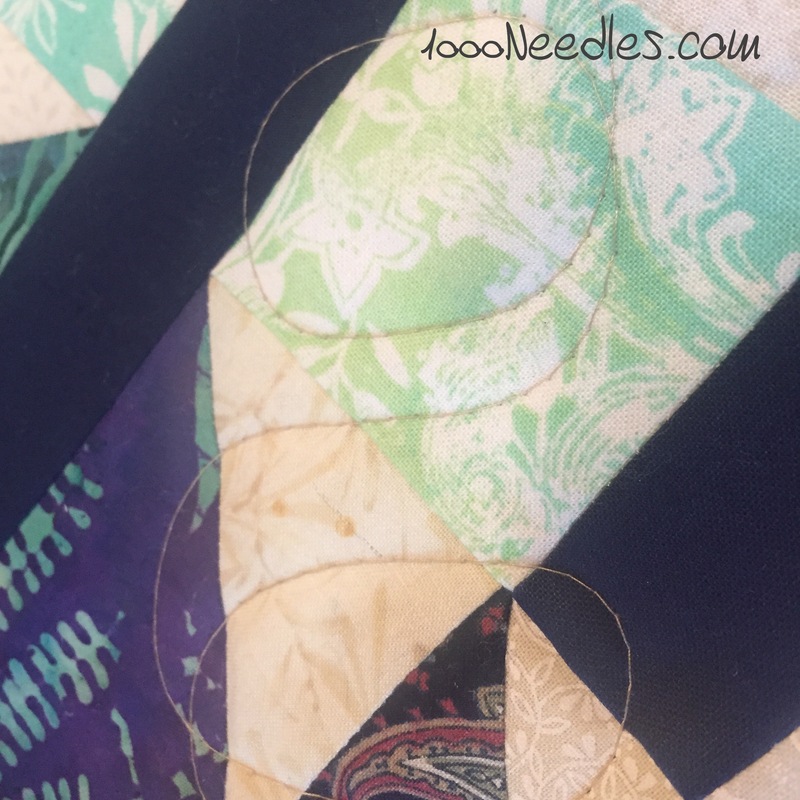 I started quilting Scrapitude (2015). I just got back my Bailey and this is my first attempt playing with it. I loaded the quilt over the weekend and wound a couple of bobbins for the quilt. I used Superior’s Bottom Line since it worked so well with Tell It To The Stars. 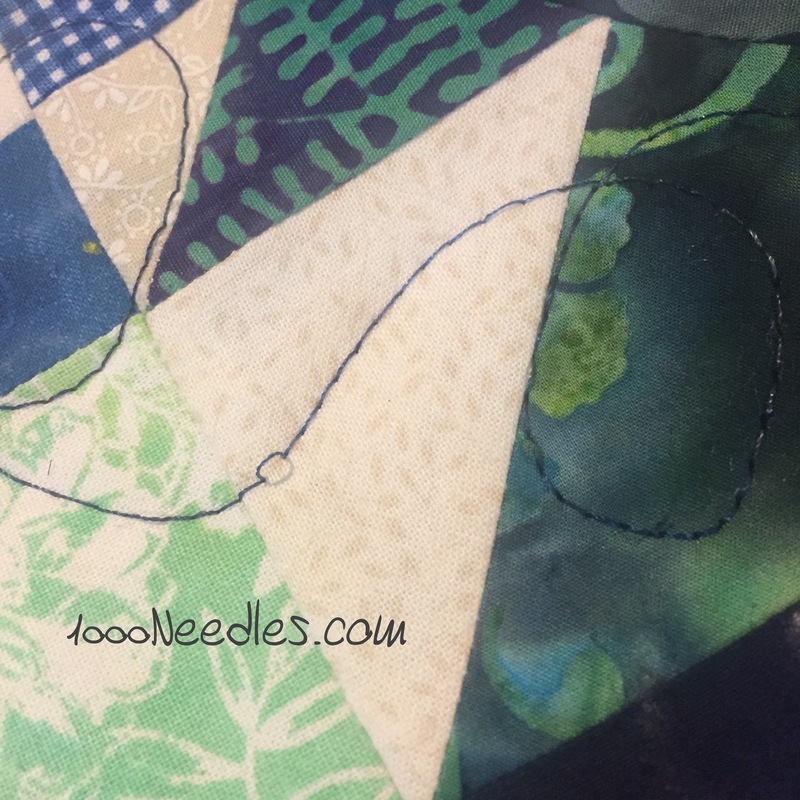 Just to recap for those new to the blog, I was having a lot of thread breakage and other problems when I first started quilting Tell It To The Stars. They seemed to disappear once I changed out the bobbin thread to Superior’s Bottom Line. So I used it again here. And since I got all this wonderful thread at Road and at QuiltCon I decided to use Superior’s Fantastico (#5122) for the top thread. Anyway, this happened. I thought it was the machine, or the way I loaded the frame, or anything. Anyway, I was highly frustrated and I was ready to toss my machine away and go by a new long arm. (of course I can’t really cuz I don’t have the money yet.) But I wanted to. Somehow I thought about the thread and that the bottom line is 60w while Fantastico is 40w. So changed the thread. I kept the bottom line in the bobbin (just a different color) and used Aurifil’s 50w #2326. See below! Now, I have to go through and remove all those blue stitches. Good thinking! At least the stitches are pretty loose, so unstitching them won’t be too hard. I’ve got about half removed. It’s taking me much longer than I thought it would take. Next time I’ll have to stop sooner than I did.